Jena McGill joined the Faculty of Law in 2011. She graduated from the joint LL.B./M.A. program of the University of Ottawa Faculty of Law and the Norman Paterson School of International Affairs at Carleton University, and then served as a law clerk to Justice Louise Charron at the Supreme Court of Canada. Jena worked at the United Nations International Law Commission in Geneva, Switzerland, and completed her graduate studies in law (LL.M.) at Yale Law School, where she focused on constitutional law, human rights and equality issues related to gender, sexuality and the law. 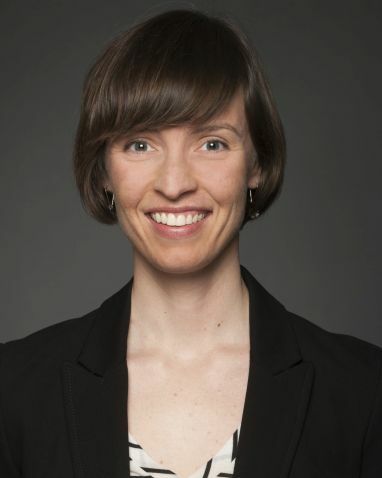 In recent research conducted with two University of Ottawa Faculty of Law colleagues, Professor Suzanne Bouclin and Professor Amy Salyzyn, and with support from a SSHRC Knowledge Synthesis Grant, Professor McGill explored risks and opportunities relating to the use of mobile and web-based apps to enhance access to justice. A report on the research can be found here.